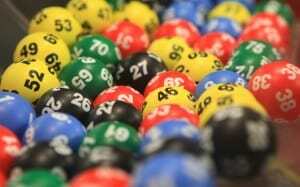 With the recent PowerBall jackpot of close to $600 million, it’s no wonder why it was all over the news. People all over the country decided to throw money into the pot hoping to become instant multi-millionaires and live like those on Robin Leach’s “Lifestyles of the Rich and Famous”. The idea behind this post is to clear up some common misconceptions that I hear people say when talking about the lottery. I am not going to get into how the majority of past large lottery winners are basically broke now. Here are four things you need to understand before playing the lottery. Regardless if the jackpot is $100 or $100 million, regardless if 10 people play or 100,000 people play, the odds of winning are always the same. For PowerBall in particular, to match the five numbers and the PowerBall, you have a 1 in 175 million chance of winning with that combination. The odds for matching fewer balls are higher. Just make sure you understand this. Many people say that the more players, the less your odds are of winning. This is not true. The number of players has no effect on the odds at all. What a greater number of players does have an effect on is how much money you can win. If five people play, odds are that all five won’t win, meaning that if you hold the winning ticket, you will win everything. But if 500,000 people play, odds are that others will match some of the numbers as well, reducing the grand prize amount should you match all of the balls. I’ve heard some people mention that you shouldn’t let the computer pick your numbers. It doesn’t matter if you pick numbers or the computer picks numbers because the numbers drawn are completely random. If you go to the PowerBall website, you will see that many times, 75%, the computer picks are the winners. But, 75% of the picks are made by the computer. So it stands to reason that since the majority of picks are made by the computer, the computer will win more often. Added to this is the fact that 75% of winners are computer picks. This isn’t saying 75% of grand prize winners are computer picks. More people play when the jackpot is higher, meaning more people are winning the mid and lower level prizes. While I can’t say with certainly, my guess would be that most of these people let the computer pick their numbers. Again, the numbers drawn are completely random. So if tonight the numbers 2, 8, 14, 36, 52 are drawn, it doesn’t mean that this set of numbers won’t be drawn again until all other number sets are drawn. These five numbers could be pulled tomorrow night, though the odds are incredibly unlikely. Personally, I don’t play the lottery. I’m not out to tell you that you shouldn’t either. I am telling you that you need to remember it is a game and you should play so accordingly. Don’t use money you need for your car insurance or your child’s education to play the lottery. Budget a set amount of “play money” each month that you can afford to lose and play with that. The odds are much greater you are going to lose, so if you can still pay your bills and save 10-15% each month, then you can afford to lose that money you used to play the lottery. Just remember to have fun when playing the lottery. The odds aren’t in your favor to win, but we can all dream right? Dismiss the “facts” you hear every talk about your odds and playing certain numbers. It’s completely random. The only guarantee when it comes to the lottery is that if you don’t play you can’t win. I’ve never bought a lottery ticket either. I’ve always been told the lottery was a tax on people that can’t do math.